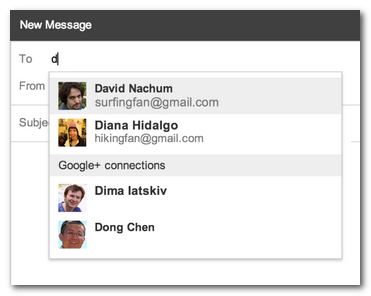 Google just announced a new feature where Google+ acts as a bridge between the social network and your personal email. Anyone who follows you on Google+ can now email you directly. If this sounds like a terrible thing (we certainly weren’t thrilled to hear it), read on to learn how to opt out. When framed in the context of you reaching out to someone you follow on Google+, it seems sort of useful. Reframe that from the reverse perspective, however, and you see that in the default setting anyone who follows you on Google+ can now email you. Now, in fairness to Google, it suggests the name of the person from Google+ but doesn’t immediately reveal their actually email address (the Google+ system sends the email on your behalf and the recipients email remains hidden unless they reply to you). Still, this provides a channel for people you’ve never shared your contact information with to contact you. Fortunately Google hasn’t been particularly sneaky about it. (Although defaulting you to the least private setting is really poor form.) Assuming you check your email frequently and read the announcements the Gmail team ships out, you have time to turn it off before it becomes a nuisance. You can leave it on the default “Anyone on Google+”, restrict it to “Extended Circles”, anyone in your circles or the circles of the people you follow, “Circles”, just the people you personally follow, or “No One”. 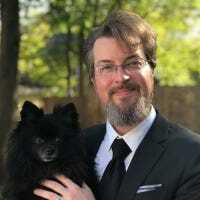 We opted for “No One”, but if you use Google+ like a Facebook replacement wherein only your personal friends are in your Circles, you might find it useful to adjust the privacy settings to reflect that. Regardless of the setting you choose, make sure to click “Save Changes” at the bottom of the Settings window to apply your choice.